The Best Outdoor Activity Glenwood Springs, Colorado! 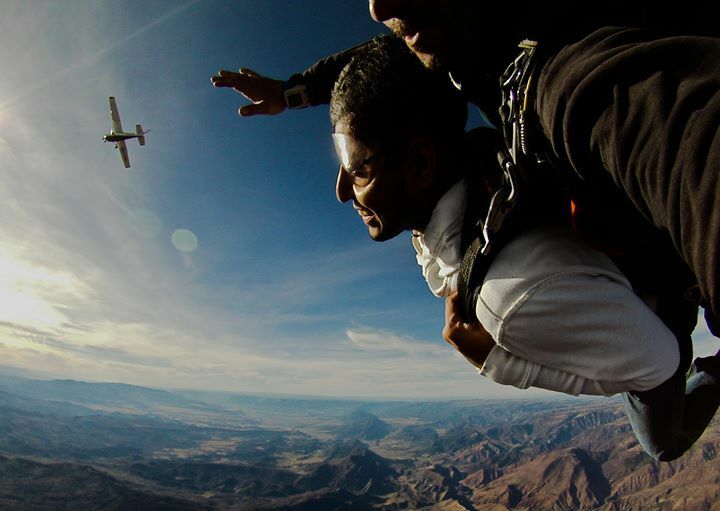 Tandem skydiving is the easiest and safest way to experience free-fall. Participate in the best outdoor activity in Glenwood Springs. Learn the basics of skydiving with a world-class, professional skydiver through a tandem jump. After a short but thorough training with Roaring Fork Skydivers, you will feel confident about your Colorado skydive and be totally jazzed for the thrill! You’ll experience some of the most spectacular views Colorado has to offer on the flight to altitude. In blue skies, you can see Aspen and Sunlight ski resorts, and the Maroon Bells, Mount Sopris, the Continental Divide, Glenwood Canyon and the Roaring Fork River as it enters the mighty Colorado River. Your instructor will get you all hooked up for the jump and go over the fine points again. At this point, you will be all attached to your instructor and ready to go! Ready, set, arch and out the door you go. Reaching speeds of up to 120mph as you plummet towards earth! After your free-fall you will be flying well above the valley floor. At this point you can talk with your instructor and if you ask nicely you might get a try at flying the parachute. After about a 5-minute scenic parachute flight you will glide safely to ground with an experience that will last a lifetime. Don’t forget to capture the fun with HD photos and video package. 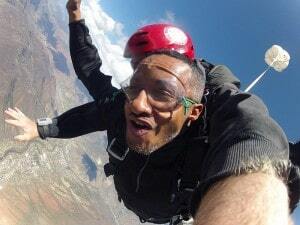 Tandem Skydiving in Colorado will likely be one of the most memorable experiences of your life. Choose the most scenic place in the state! Tandem Skydiving is hands down, the best outdoor activity in Colorado! Bring your family and friends! 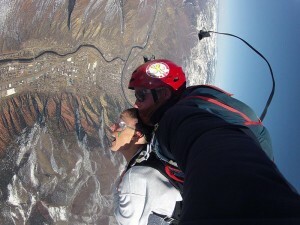 And experience Glenwood Springs with an adrenaline boost! 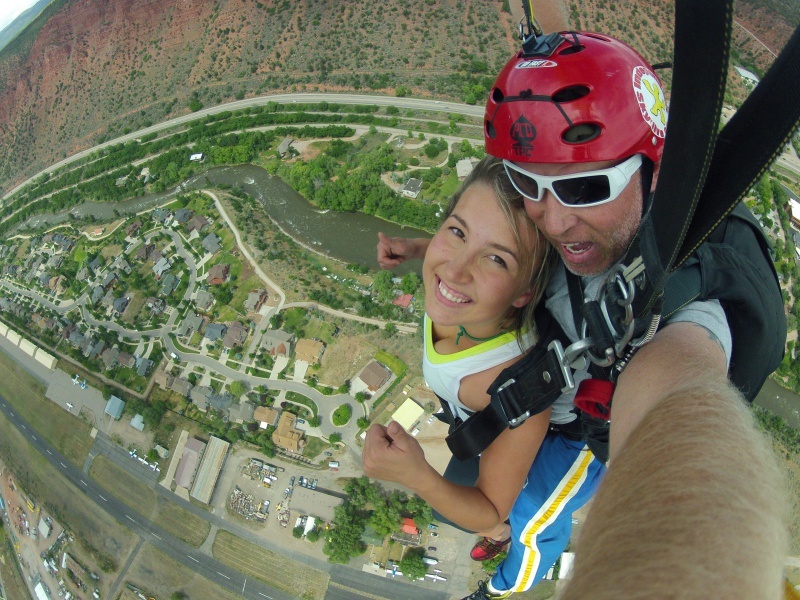 Call Roaring Fork Skydivers today to participate in the best outdoor activity in Colorado (970) 364-3737.